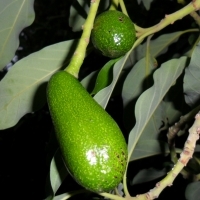 A valuable commercial crop, the avocado tree thrives on rich well-drained soil. 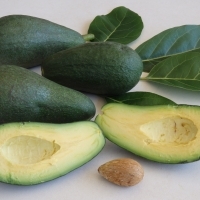 Due to flowering habits, avocado varieties are categorized into A and B groups. 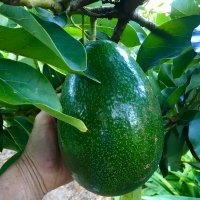 One variety is sufficient to produce adequate crops for the home garden, however by planting a tree from both groups the harvest will be much greater. 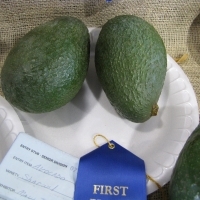 Avocados begin to ripen once picked and may take up to 10 days to reach maturity. Fruits are rich with oily flesh and are delicious eaten when fully ripe in sandwiches, salads. 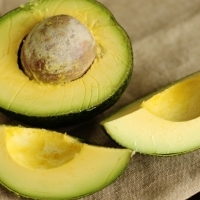 Guacamole is a famous blend of mashed avocado flesh, lemon or lime juice, onion, garlic, pepper and chili, it makes a very tasty dip. 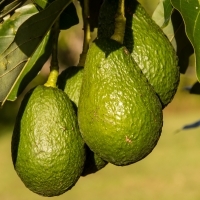 Avocados are very fussy about their soil conditions and will not tolerate wet feet or heavy soils, it is essential to prepare the ground for an avocado well before planting. 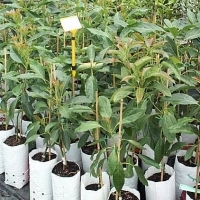 Young trees are susceptible to sunburn and damage from frost so a small shelter while they establish is a very good idea. 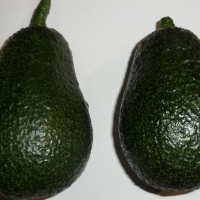 Avocado Factsheet - Explains A & B types, Location & Planting, Pruning and much more. Trial Product, Daley's is currently trialling this product, but we will not have them available for sale in the foreseeable future. If you are interested in this item please request the email notification from this page, but at this stage we cannot give you an estimated time of availability. 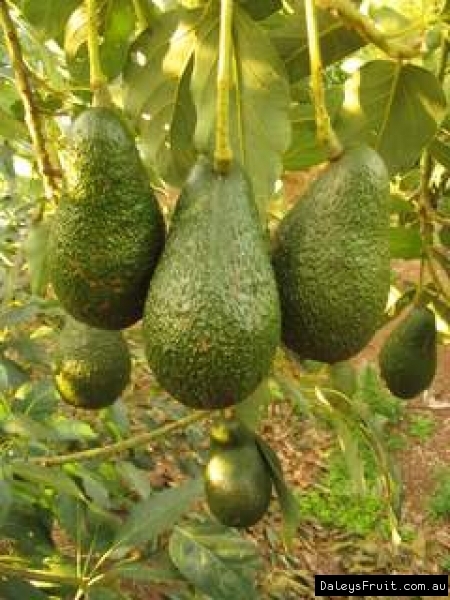 This variety produces huge oval fruits that can weight 1-2 kg. One fruit is large enough to feed the family. 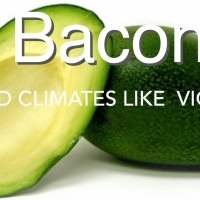 It has superb flavour and delicious smooth flesh. 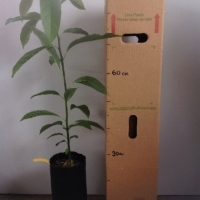 The selection was made from a seedling trees growing in Sunnybank, Qld. 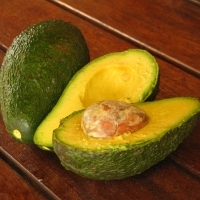 Larger and rounder than most other avocado varieties. 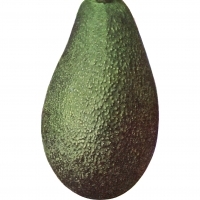 It has a very dark, almost black skin that only gets darker as it ripens. The flesh is a pale green colour with a creamier consistency than its more common Hass relative and it has a slightly nutty and creamy taste. It has a medium-sized seed. 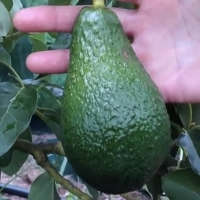 Lamb Hass is a smaller tree that bears more fruit and it matures later in the season than regular Hass avocados. The symmetrical fruit has pebbly skin with green flecks. A giant fruit weighting over 1kg. Good eating variety with smooth flesh and a creamy, rich flavour. 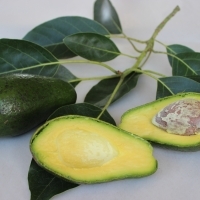 The trees have good disease resistance, it is a cross between a Guatemalan and a West Indian type avocado and has smooth green skin when ripe. Daleys is starting production of these in spring 2018 and anticipate having trees for sale by spring 2020.